Our Classic 5 day Inca Trail Trek to Machu Picchu is a unique itinerary you do not want to miss. Trekking on this famous route to Machu Picchu will give you so much more than other routes. We find this a great group option. 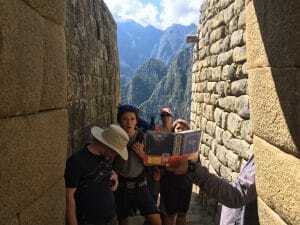 Check out our up coming trips to Machu Picchu and Top 10 Tips for a success and enjoyable Inca trail trek to Machu Picchu. 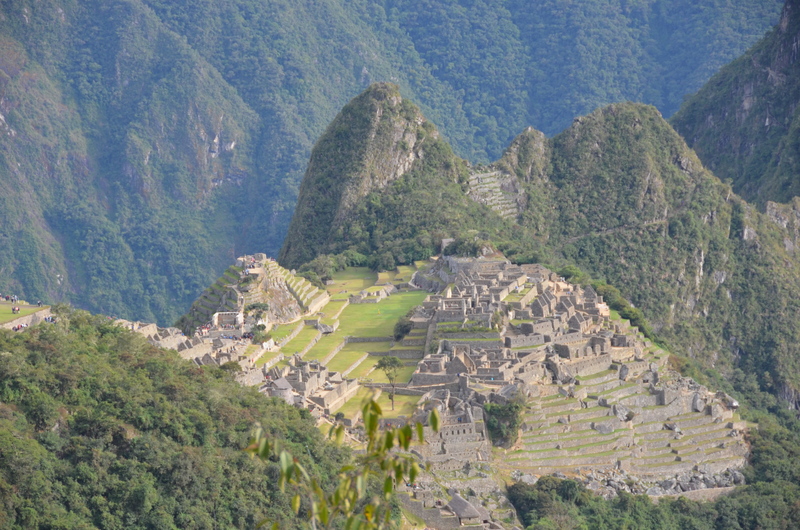 Watch our video and then read this post with all you need to know about trekking to Machu Picchu. 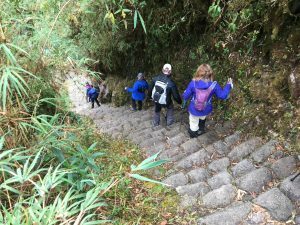 Our classic 5 day Inca Trail Trek program is an excellent alternative to avoid most of the crowds found on the 4 day classical route to Machu Picchu. This route helps us reach quieter, more distinct and beautiful campsites on route to Machu Picchu. It is also recommended for families with children, as it allows better acclimatization to high altitude and the daily walking distances are less than the 4 day Inca trail to Machu Picchu. Here are 20 reasons to pick us for your Inca trail adventure. We still cross over 3 passes with the highest at 4,215m/ 13,828 feet. but we will enjoy are more relaxed approach to each day and enjoy more Inca sites like Sakaqmarka, Intipata and Winay Wayna. 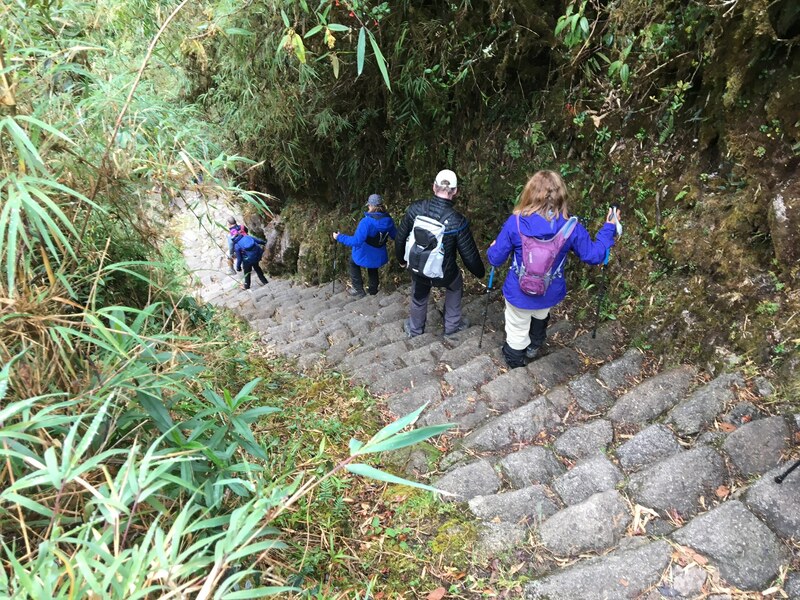 Personally exploring Winay Wayna is really important and having this extra time on the 5 day Inca Trail Trek is important. Our 5 day trekking option also takes off the pressure of rushing trough the trail. If you are a slower hiker the 5 day trek is the only way to go. CONTACT US for more information. Read our training information. 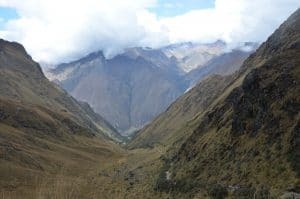 On our classic 5 day Inca Trail Trek, the most famous trek in South America, you will be able to learn more about the ruins and enjoy the unique scenery which make this trail so famous. 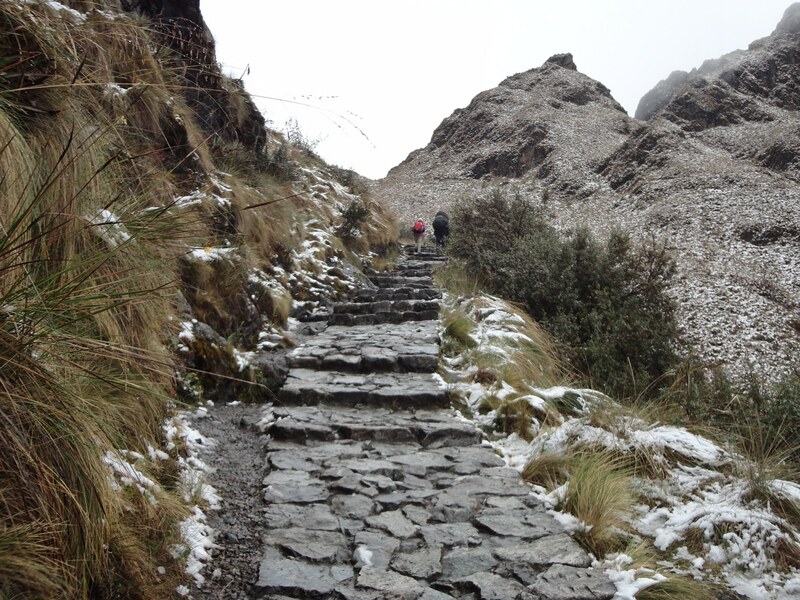 Our classic 5 day Inca Trail Trek departs from a place known as Kilometer 82 at 2,700m/ 9.022 feet. We will cross a narrow bridge at Kusicancha, that leads straight on to the famous Trail. There are many sights of interest in this first day as we move uphill to the Incan city of Llactapata 2,750m/ 9020 feet. From this point, we descend to the ruins and set up camp in this amazing Incan site. 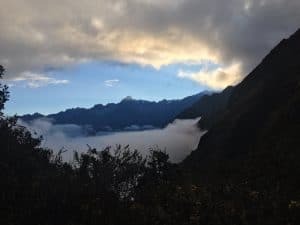 The second day on our classic 5 day Inca Trail Trek, we wake up early to continue trekking along the valley created by the Kusichaca river, gradually climbing until we reach the farming community of Wayllabamba 3100m/ 10,170 feet. This would be night one of the famous 4 day Inca trail trek. All along the way we see spectacular views of the Vilcanota mountain range on the opposite side of the Urubamba River, where the impressive Veronica peak reigns high in the region at 5,832m/ 19,133 feet. Not to mention the diversity of wild flora and fauna that can be found all along the valley. Continuing through the trail, we get to Wayllabamba which is the lunch spot and after that one, we begin the most difficult part of the trek, which consists of an abrupt and steep ascent that stretches for 8km and reaches the first mountain pass in the Inca Trail, the Abra Warmihuañusca (Dead Woman pass). 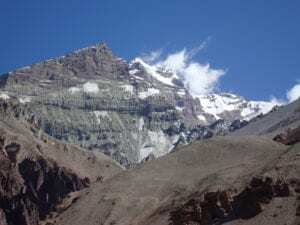 We only climb half way up the pass, stopping at Llulluchapampa, where we camp and spend the night at 3,840m/ 12,598 feet. It is really important to take it slow and steady before the pass. Some people find this pass hard, at 4,215m/ 13,776ft you really have to manage your pace and breathing to move up and over this big hurdle. Trekking at altitude needs to be managed correctly. Speak to us about how to train and prepare. We will have done the bulk of the climb the day before. We will hike up 375m/ 1,230 feet to the Dead Women pass. Prior training is needed to complete this trek. Once over the pass we will move into another amazing valley and drop 700m/ 2,296ft and pass Pacaymayu 3,500m/ 11,480ft. We will continue back up hill to Runkurakay and Sayaqmarka. We will continue on further on the Inca Trail an set up our camp in Phuyupatamarca 3,670m/ 12,040 feet we have the most astonishing sun set and spend the night there in this amazing place. On the fourth day of your Classic 5 day Inca Trail Trek, we will rise early at 5am have a beautiful breakfast and watch the sun rise in this absolutely breathtaking location high on the western side of the Andes looking down towards the Amazon. After you catch your breath we will walk down hill and explore the amazing sites of Intipata and Winya Wayna have lunch and then continue through the check point and continue for one hour to the amazing Sun Gate, where we will see the magical city of Machu picchu for the first time. from the Inti Punku (Sun Gate). The remainder of the day is spent exploring this fabulous ancient city of the Inca’s, or get lost in the city of Machu Picchu. The scenery is spectacular and so rewarding to finally arrive at this famous destination. We will head down to Aguas Calenties and spend the time in a hotel. The following morning we will return to Machu Picchu for a full guided tour of the ruins and then return all the way back to Cusco. 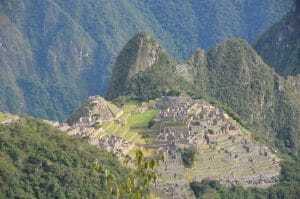 Trekking the Inca Trial is one of the world’s greatest treks and one that may chance your life. This trekking experience deep in the Peruvian Andes gives you insight into how intuitive and resourceful the Inca People were. These true mountain tribes were genuinely remarkable people, completing the entire Inca Trail in one day. On our classic 5 day Inca Trail trek to Machu Picchu, we will be following the traditional Inca Trail in one of the world’s most unique and famous trekking trails. 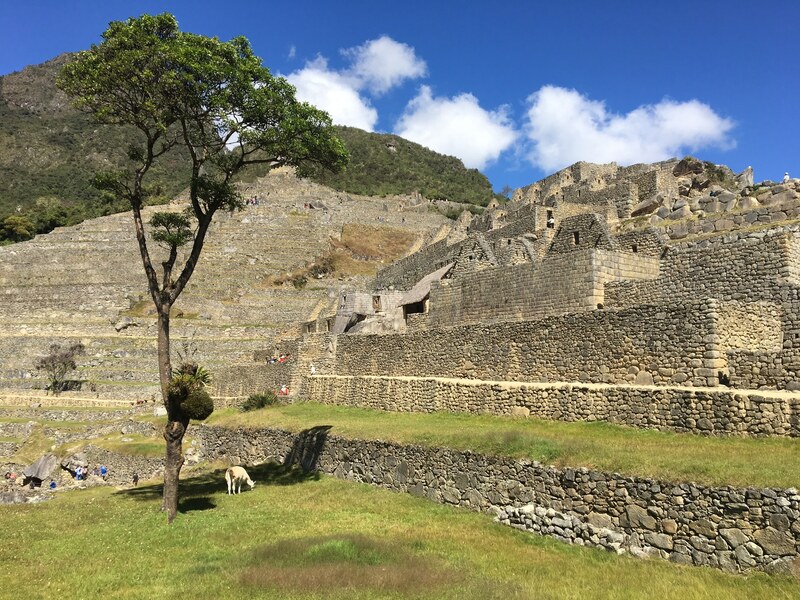 The journey to Machu Picchu will leave you inspired with true admiration for the incredible Incan people who ran these trials over 500 years ago. 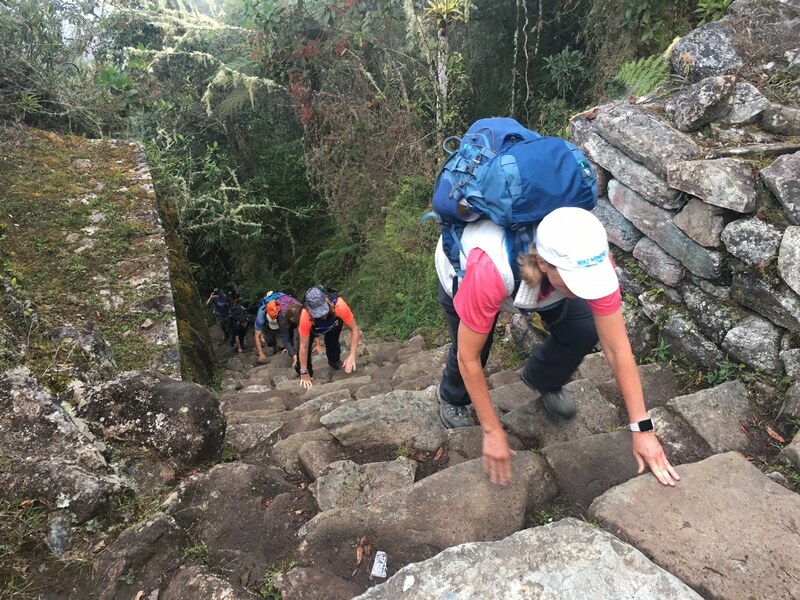 We are available 5 days a week in support of your Classic 5 day Inca Trail Trek, your training, preparation and answering any questions you may have. Ian has climbed Everest the top, climbed Kilimanjaro 30+ times and led 10+ treks on the Inca trail to Machu Picchu. We have the experience and expertise to help you prepare and fully enjoy your Inca trail experience. On signing up we send out our 35 page dossier on the trek with full information and details of undertaking this adventure. The cost of this trek starts at $2,250. Arrive in Cusco, Peru where you will be picked up from the airport and transferred to comfortable hotel. You are free to do some sight seeing in this unique and magical city. After you have settled in at your hotel go out and tour the City of Cusco. The afternoon is free to rest, acclimatize, and sight see around Cusco. However, we strongly urge you to take it easy, go for a walk and drink plenty of water, as Cusco sits at 3,400m/ 11,152 feet above sea level and you are at high altitude with 30% less oxygen than sea level. You will need to stay well hydrated. 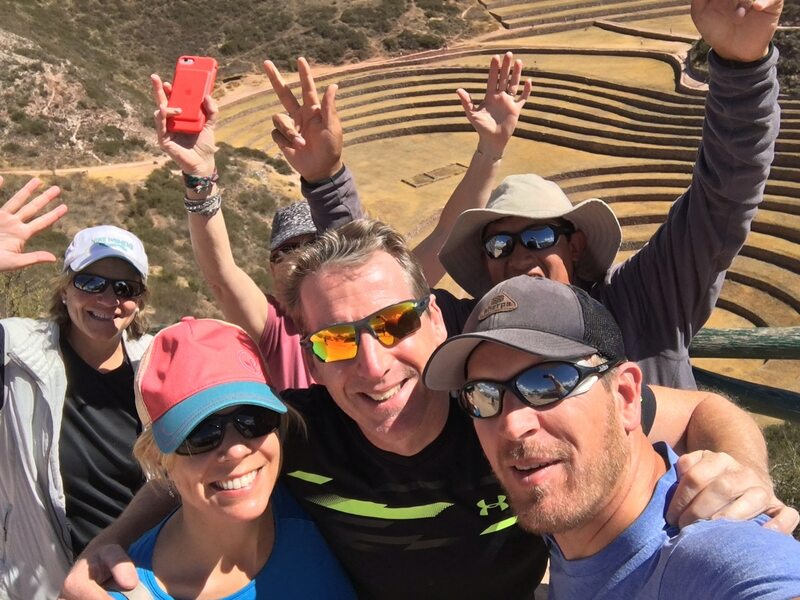 It is important to spend two night in Cusco before the trek so we recommend our full day private sacred valley tour including: Pisaq remains, Pisaq market, local corn beer brewery, Ollantaytambo remains, Ollantaytambo village and return to Cusco. The Pisaq and Ollantaytambo remains are very special experiences in themselves, along with mixing with the culture, this day will live long in the memory. This day also gives your body a chance to acclimatize to the lower levels of oxygen. After a long way you will return to your hotel in Cusco. The day your will start at 8am and finish at 6pm. Pick up from the hotel at 7 o’clock in the morning we will have 3 hours and a half passing through beautiful high Andean landscape then descend for sacred valley of the Incas accompanied by the river “Urubamba” we will make a stop in Ollantaytambo to be able to buy the last things, then 40 minutes until place of km 82 called Piscacucho 2,700m/ 9,000 feet. From here we will have enough time to organize our backpacks time to meet with our porters who are very important in this Inca trail. Then we will go through the controls where we need present our passports. In the first stretch of the hike we will have beautiful views of the landscape such as the snow or glacier Apu Huakay Willka 5,850m/ 19,193 feet. known as Veronica as well as the flora of the cactus area such as the tunas, medicinal trees tara shrubs such as the muña, other plants too, along the first days hike we will see houses of the local people after two hours we arrive at the place called Miskay where we will have the first delicious lunch prepared by our chef. After lunch at Miskay 2,800m/ 9184 feet, we will then ascend and finally see, from the tallest part of an overlook, the Inca city of Llactapata 2,750m/ 9020 feet. From this point, we descend to the ruins, next to which we set our camp, after an approximated 5/6 hour walk. We spend the afternoon exploring and visiting this archaeological site. We wake up early to continue trekking along the valley created by the Kusichaca river, gradually climbing until we reach the farming community of Wayllabamba 3,100m/ 10,170 feet. All along the way we see spectacular views of the Vilcanota mountain range on the opposite side of the Urubamba River, where the impressive Veronica peak reigns at 5,832 meters above sea level. Not to mention the diversity of wild flora and fauna that can be found all along the valley. Continuing through the trail, we get to Wayllabamba which is the lunch spot and after that one, we begin the most difficult part of the trek, which consists of an abrupt and steep ascent that stretches for 8 km and reaches the first mountain pass in the Inca Trail, the Abra Warmihuañusca (Dead Woman pass). We only climb half way up the pass, stopping at Llulluchapampa, where we camp and spend the night. Along the climb, the landscape changes from sierra to puna (a dry and high area with little vegetation), having the chance to spot domesticated llamas and alpacas grazing on ichu, one of the few plants that grow at that altitude. We also cross an area of the so called cloud forest, which is the habitat for many different kinds of birds like hummingbirds and sparrows and the Andean bear, which is also called the spectacled Bear (Tremarctus Ornatus). We advise that on this day and the next one specially, your day pack is well stocked with candies, chocolates and coca leaves that will keep your sugar level high, and help with altitude sickness. After breakfast, we continue our hike up the highest point in the Inca Trail, reaching the mountain pass of Abra Warmihuañusca (Dead Woman Pass 4,215m/ 13,776 feet) after about 2 hours. Immediately after the pass, we descend into the Pacaymayo valley 3,600m/ 11,808 feet, from which we then start to climb to the second pass, the Abra Runkurakay 3,970m/ 13,022 feet. Half way up, we visit the archaeological complex with the same name. This site, located at 3,800m/ 12,464 feet, consists of a small oval structure that is believed to have served the purpose of a watchtower. After going over the pass, we descend towards Yanacocha (Black Lagoon) and enter the cloud forest to finally arrive at Sayacmarca 3,624m/ 11,887 feet. This is a beautiful complex made up of a semicircular construction, enclosures at different levels, narrow streets, liturgical fountains, patios and irrigation canals. Continuing up an easy climb, we arrive to chaquicocha which the lunch spot. After lunch and two hours and half we arrive at the third pass, the Abra Phuyupatamarca 3,700m/ 12,136 feet. Along this climb we can appreciate the magnitude of the Incas ancient craft, by walking along paths semi-detached from the mountain, and seeing rocks that fill up ravines in perfect order, saving the trail from the multi leveled Andean geography. We go through an Inca tunnel to later arrive at the aforementioned pass and down to the complex of the same name. This is one of the most complete and best preserved archaeological complexes along the Inca Trail to Machupicchu, and is located on the highest point of a mountain. Curiously, Phuyupatamarca means town over the clouds. From above, one can observe a sophisticated sacred complex made up of water fountains with solid foundations, and also impressive views of the Urubamba River valley. We set our camp in Phuyupatamarca we have the most astonishing sun set and spend the night there. After our delicious breakfast accompanied by the “Apus” sacred mountains we will descend for about three hours on steep steps, before arriving at the lunch place we will have an amazing view of the Urubamba valley from the place called Intipata. We will continue the descent for half an hour we will visit one of the most impressive places in all our route of the Inca Trail the place called Wiñayhuayna. This is an impressive Inca ceremonial place, for the location and the adaptation to the place without damaging the shape of the mountain. 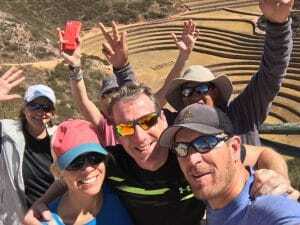 We will hike back the same way, where will have our last lunch on the Inca trail and the opportunity to thank our porters team and the cook for the great experience we had in this Inca trail. After lunch we follow a narrow trail that walked around Machu Picchu mountain leads us all the way to the sun gate (intipunku) before we reach the sun gate you have your last test. You will ascend about 50 steep steps, about 15 minutes later and after our long pilgrimage, we reach the sun gate where finally our dream becomes reality the impressive view of the Inca citadel of Machu Picchu. You will stand in awe of this unique mystical place. After enjoying the Inca citadel we will descend for about an hour we arrive at the place called the guardian’s house where we will have the opportunity to contemplate Machu Picchu in all its splendor. We will take photographs and then we will take bus from the Inca city of Machu Picchu to Aguas Calientes, Machupicchu town. We will spend the night in a 3 star hotel. Around 7 o’clock at night we will have a great dinner at the famous Indio Feliz restaurant. 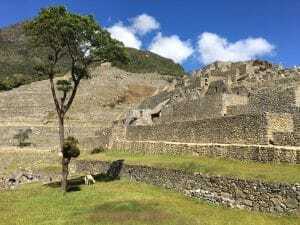 We wake up early and board a bus, which will take us back up to Machu Picchu where we begin a complete guided tour of the Inca citadel that will take approximately two hours. 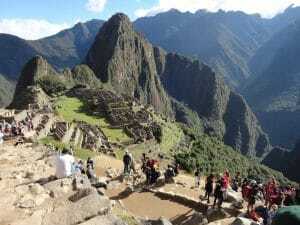 We will then have free time to walk around, climb up the Huaynapicchu Mountain (additional cost), where one can experience spectacular views of all of Machu Picchu, the valleys and mountains that surround it, or we can visit the Temple of the Moon or the fabulous Inca Bridge. In the afternoon, we meet in the town of Aguas Calientes where, From here we take the train back to Ollantaytambo and then by bus, from Ollantaytambo to Cusco, where we arrive after nightfall. 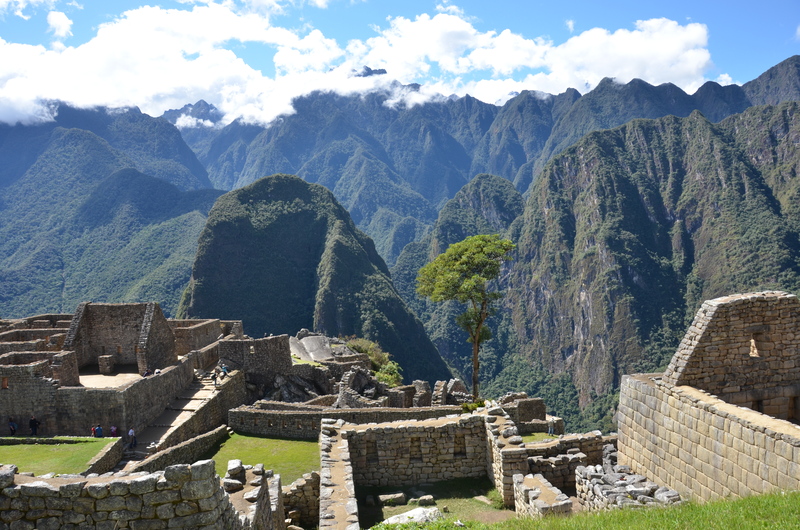 Your classic 5 day Inca Trail Trek is over. You will be picked you up from your hotel in Cusco depending on your flight time. We will drive you to the airport in order to take your flight for your onward journey. There are options to join tours to the Amazon, lake Titicaca and other treasures Peru has on offer. 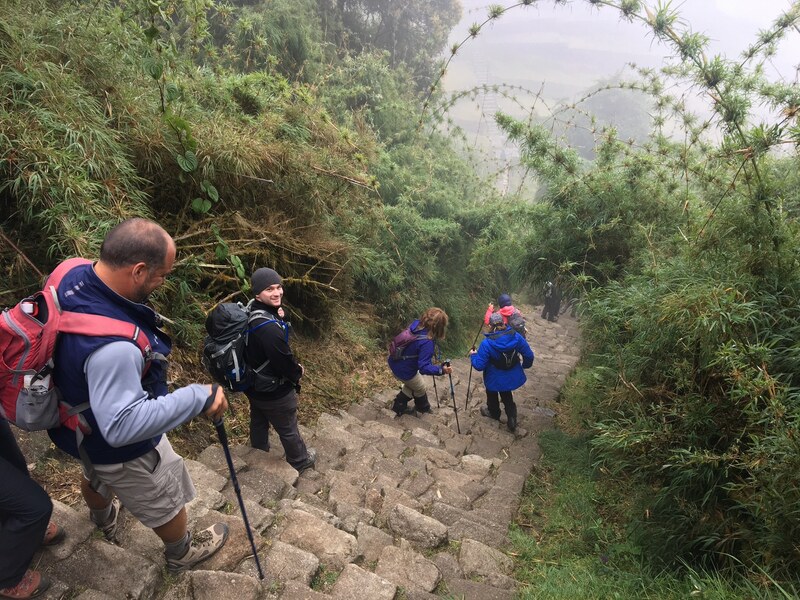 Does this information Classic 5 day Inca Trail Trek excite you to take the next step towards achieving your goals in the mountains? If so, get in touch today. We pride ourselves on making sure that our clients have every opportunity to succeed on the mountains, including professional training advice, gear lists and video links on how to pack your bag, and much more. We are always available to answer any questions you may have by email, phone or skype, so contact us today!